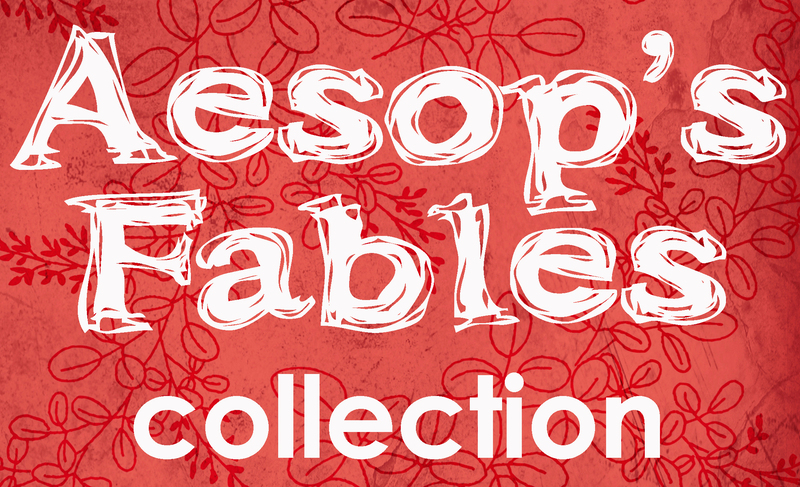 It incorporates so much good stuff into one project! Collaboration, color wheel discussion, self-portrait and drawing principles, and the list goes on. It’s especially cool to see the improvement kids make in drawing as they get older (there were drawings from all grades in the mural). 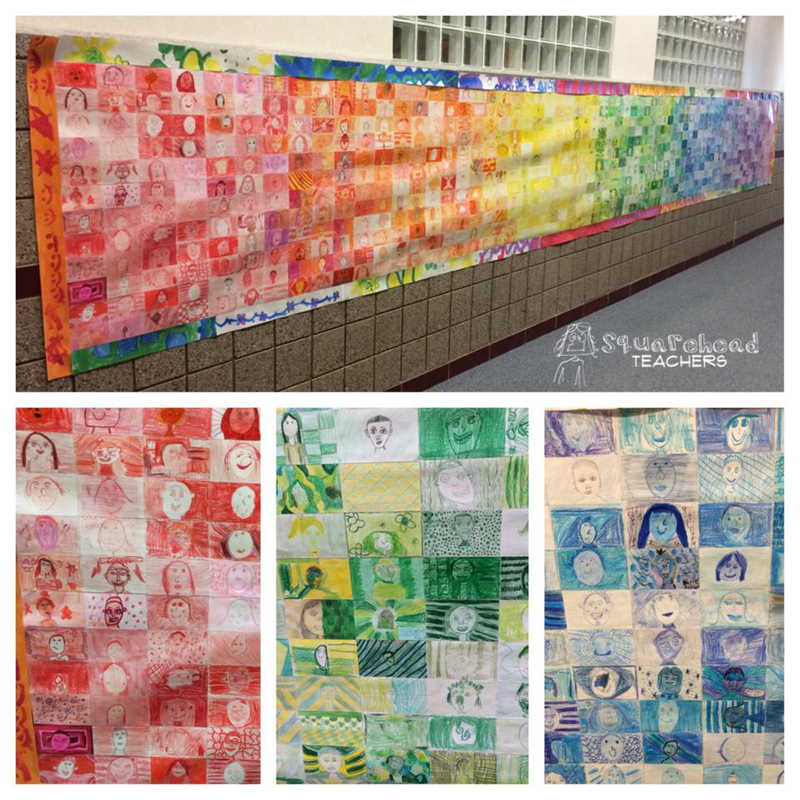 Although it is a fair amount of work to put together, this art project is definitely something that all the kids (and community members) will love to look at. Finally, the kids who participated can feel a sense of accomplishment knowing that they contributed and that as part of a team, they accomplished something they could never do on their own. Great job, Rachel! Here’s some information about how you can organize this project. (I could not find the source for any of these photos, so if they’re yours, please let me know!) 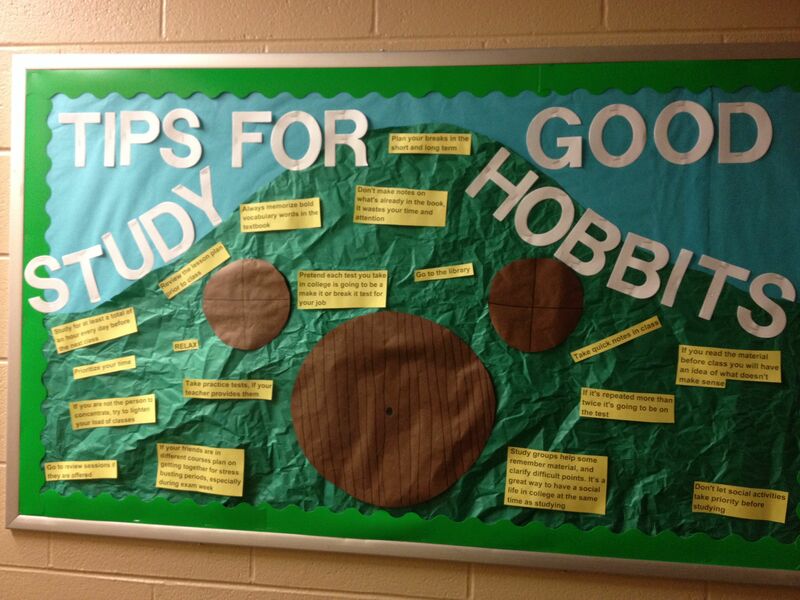 Any other ideas for a Lord of the Rings classroom theme? Comment below! Thanks! 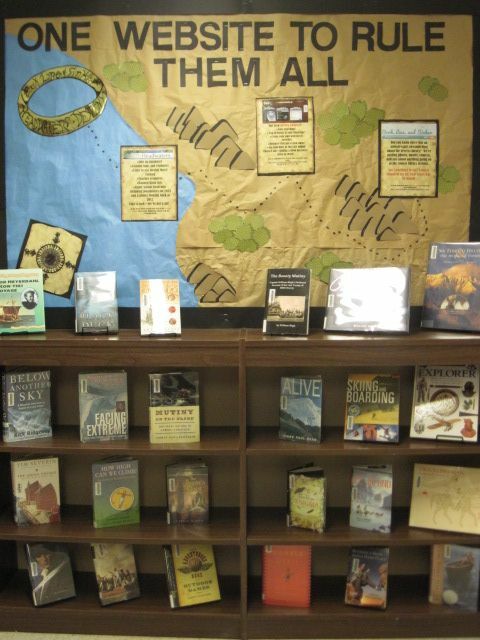 Check out this cool idea a reader submitted. It’s simple, but genius! 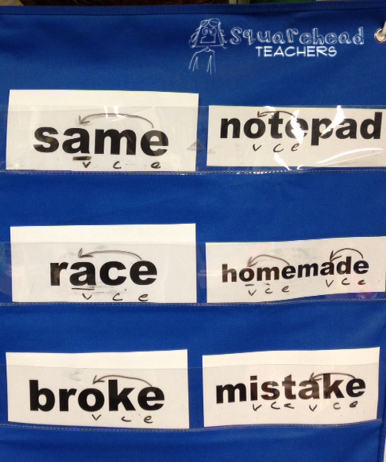 If you use a pocket chart to hold vocabulary words, you can diagram them right on the pocket! 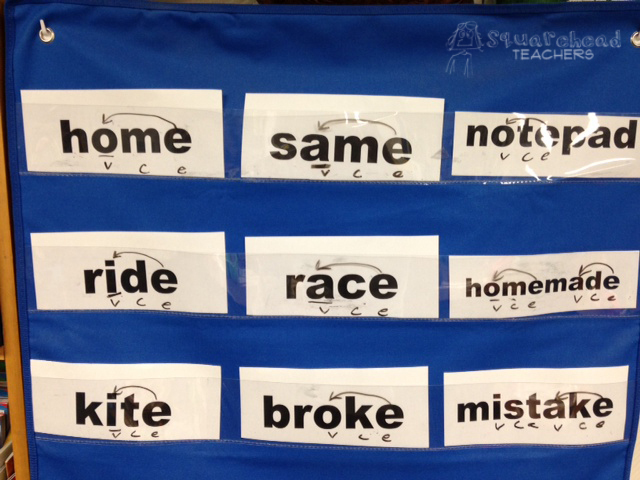 Use an overhead marker or a whiteboard marker to diagram words onto the clear front pocket of the chart! This way, you can leave it up for the week while you’re focusing on a specific principle, and you don’t have to write on the word strip. Have any other great ideas? 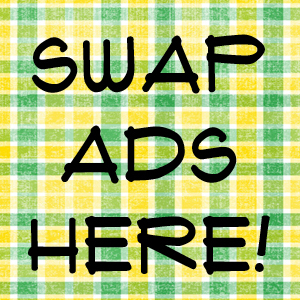 Send them to me (squareheadteachers at gmail dot com) and I’ll post them on this blog! Thanks! I saw this picture on Pinterest (follow me!) and I knew I had to share it! It’s a paper soldier in a camo uniform. You can make the camo part by sponge painting with brown and green paint, or by gluing brown and green squares of tissue paper to the outfit. 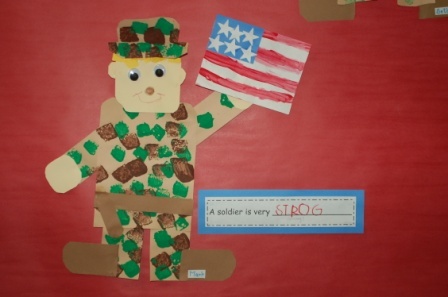 Such a cute Veteran’s Day craft for kids! Heart! Be sure to check out my FREE Veteran’s Day worksheet (history and meaning of Veteran’s Day) and some free Veteran’s Day coloring pages for kids! A HUGE thank you to all the servicemen and women who have sacrificed for America! I don’t know about you, but most times when I’m in a workshop or meeting and I’m given a handout, I instinctively write my name in the top right corner. 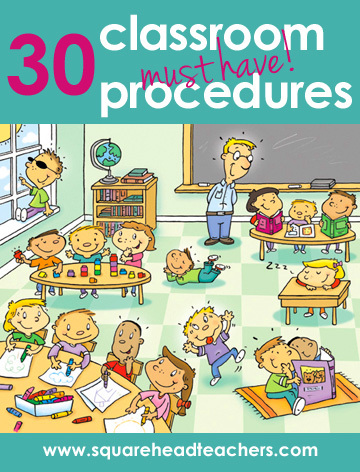 You may laugh, but that’s the kind of automatic thing we want our students to do! I saw this idea on Pinterest and decided to make my own. 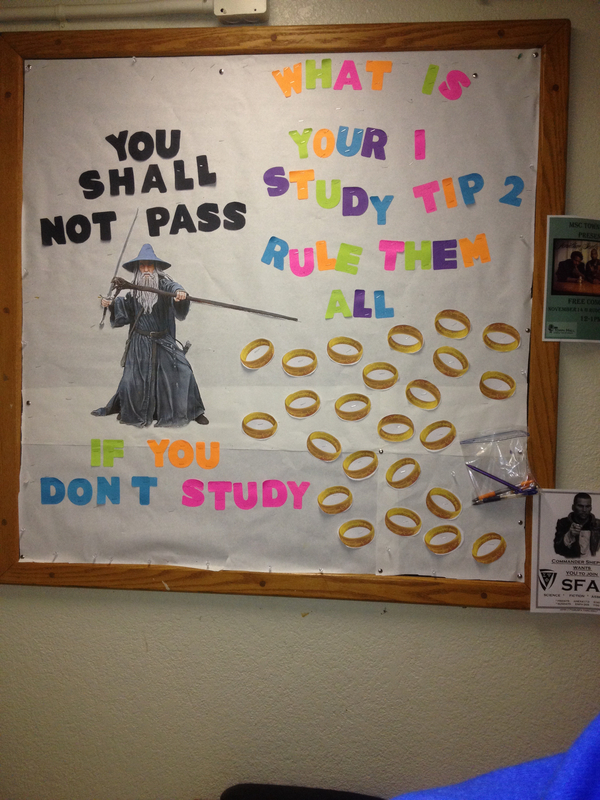 Some students just need that simple little reminder and hopefully this will help! This poster is the size of regular printer paper (8.5″ x 11″). 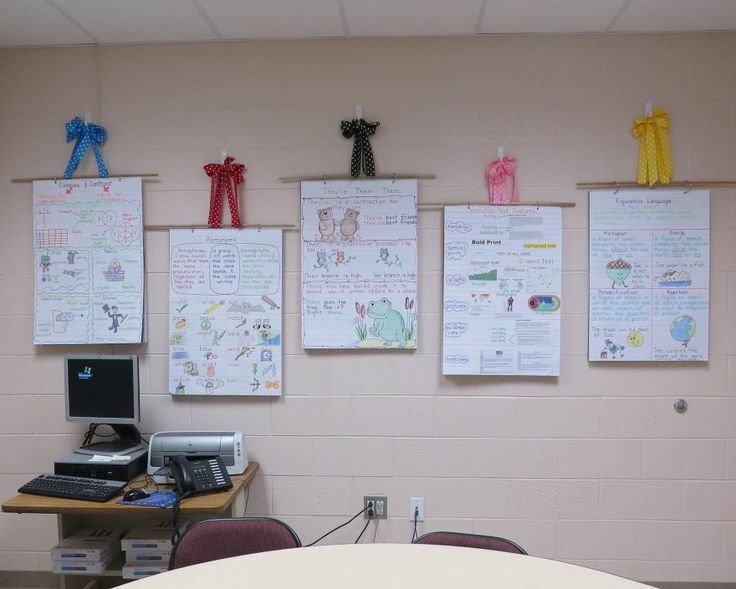 Hang anchor charts with fun ribbon! 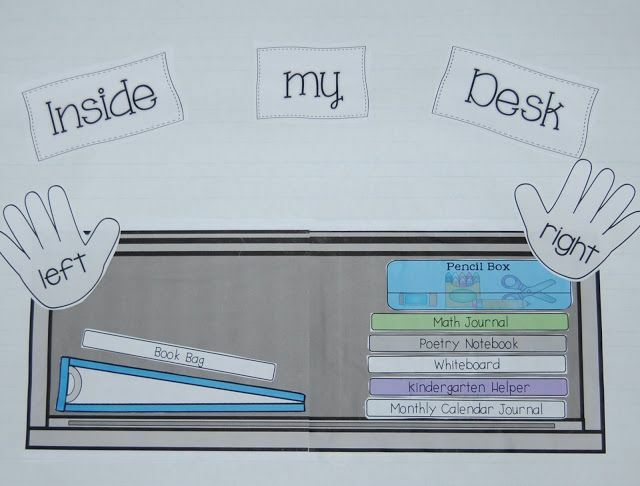 Poster showing what belongs in a student desk and how it should be organized. Genius! 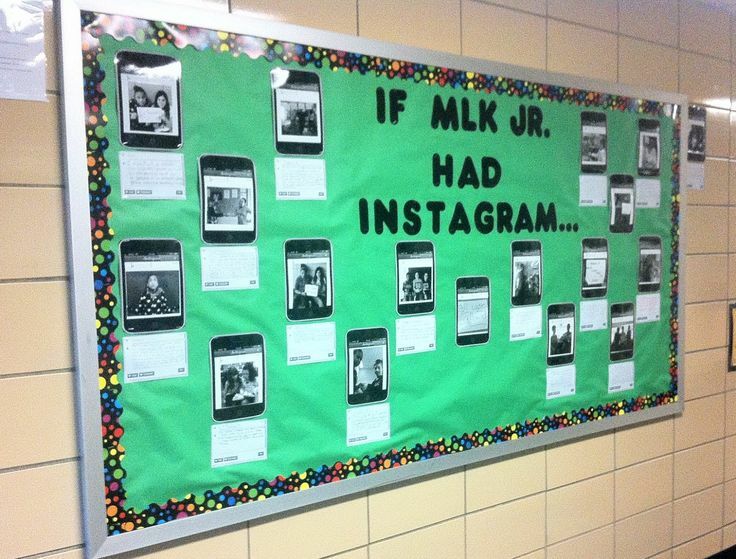 “If MLK Jr. Had Instagram…” What a great way to have place history in a context kids know! Click here to read more. Letters in Environmental Print! 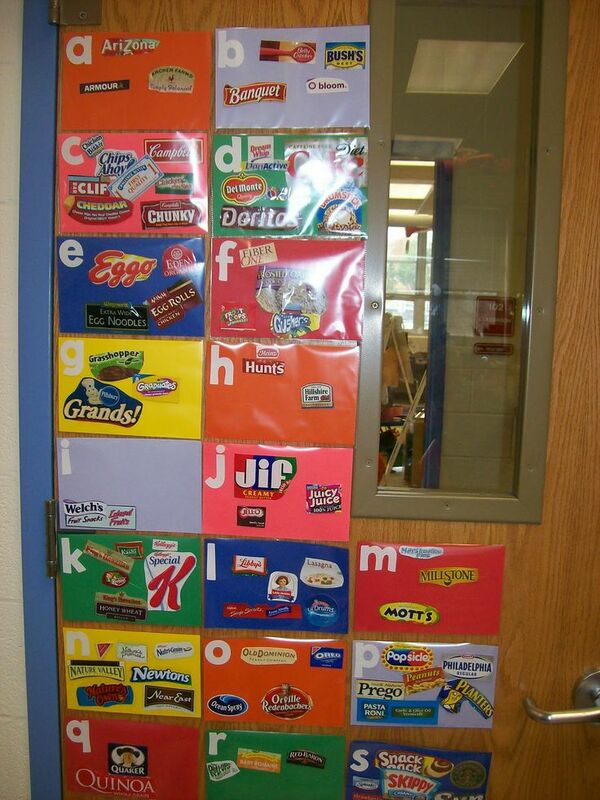 Ask kids to find and bring in 5 labels, then sort them into the alphabet. At the beginning of the school year, the teacher and the students all want to get to know each other. 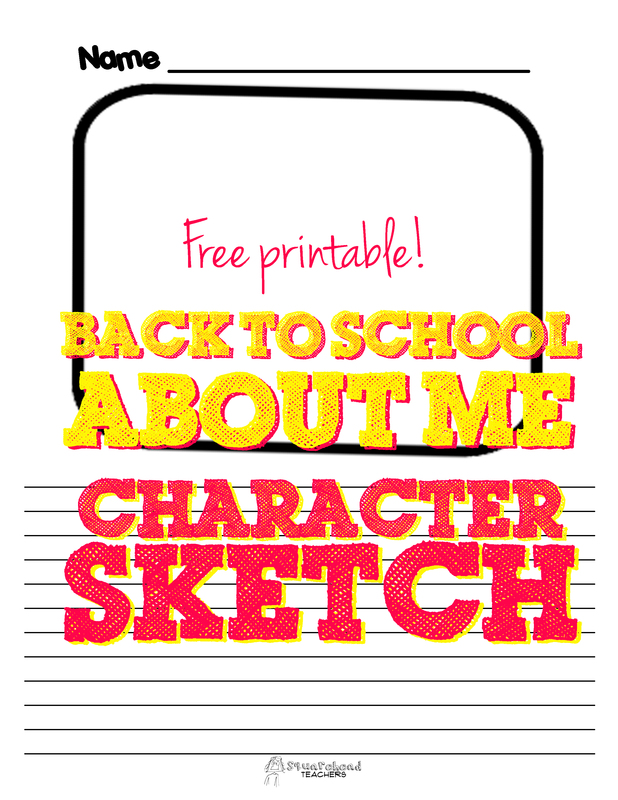 Here’s a fun project that will also show you your students’ writing levels. Fill out the boxes on the planning page and then put them together on the second page into a cohesive paragraph. Then have students draw a picture of themselves. Put this up on a bulletin board for back-to-school open house, etc. Have a great school year! Transitions can get boring really easily… especially if kids only know one or two transitions for each purpose (introduce, sequence, etc.). Here’s my printable transitions poster. 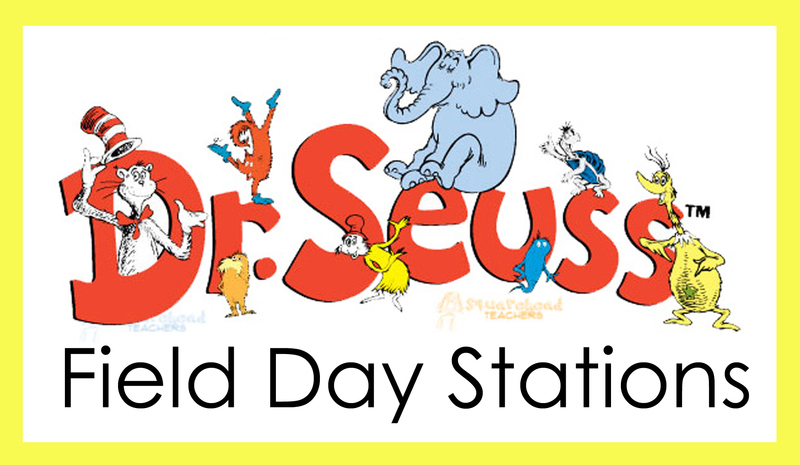 It can go on the wall in your classroom, or you can have students put one in their literacy journal. Enjoy!